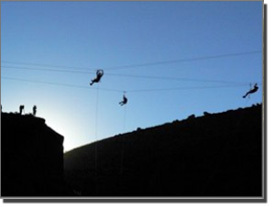 We assemble, cable and rope systems at heights for applications such as concerts, special effects, film and industry. 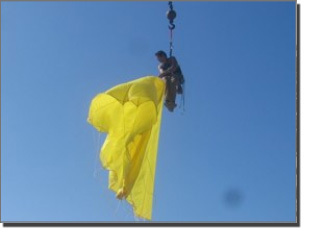 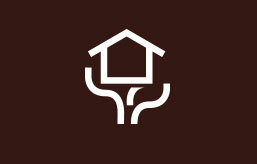 We offer our services for a variety of locations and applications. 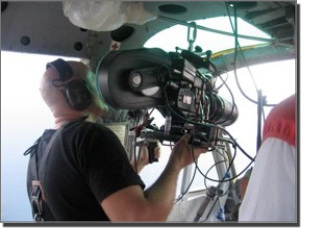 We supply flying rigs for vertical/horizontal flight simulation. 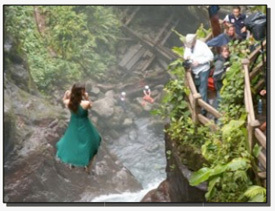 When Rolex wanted to do make a photo-shoot in Costa Rica they called us immediately since this was going to be a tough one. 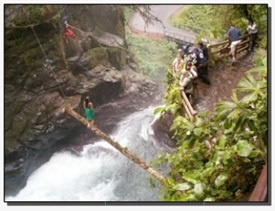 We had to fit a log across a gorge in front of a 25 meter waterfall. 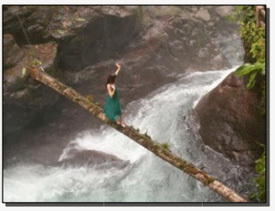 A top model was then lowered onto the log and walk on it. 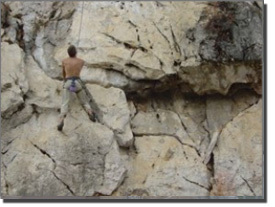 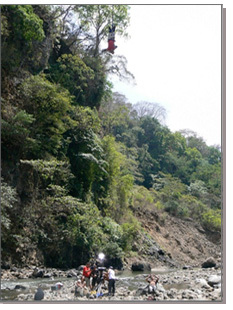 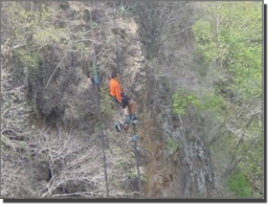 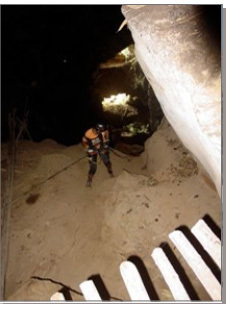 Another 30 meter waterfall below made the rigging more challenging and safety was primordial. 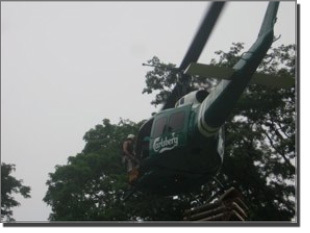 One of the most fun projects we have done considering the variety of effects and objects we were hauling and tossing from a Bell 205 helicopter. 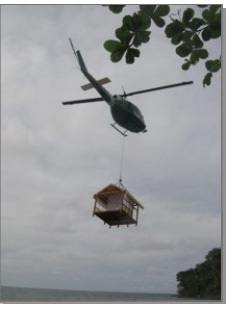 We were lowering lawn-chairs, hauling a bungalow, tossing wooden refrigerators, and rigging cameras to the helicopters for some of the most demanding ad agents. 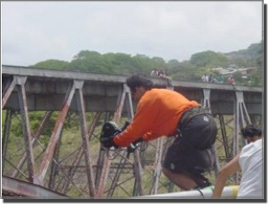 When Sony Cybershot wanted to film the perfect bungee jump from a bridge we had to set up on an old railroad bridge over Tarcoles river in Costa Rica. 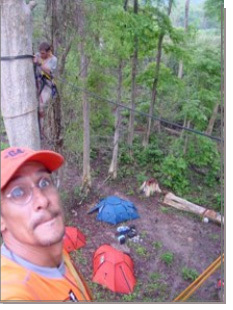 With the use of a crane from the bridge we were able to manage the distance to the camera for the perfect face shot. 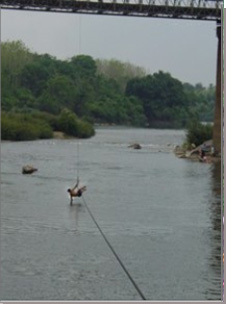 we also simulated a close to water dip as one of the effects. 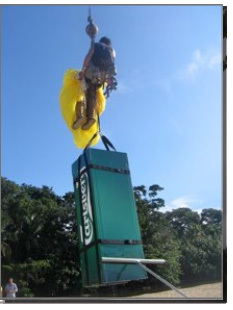 Comcel is one of the largest cellular companies in Guatemala. 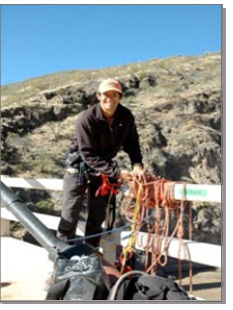 for this add we had to rig our bungee cords to a 100 meter bridge. 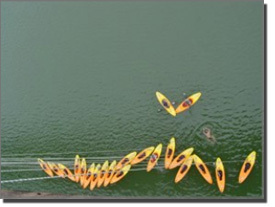 We did a total of 15 jumps with POV cameras and diverse angles for the right shot. 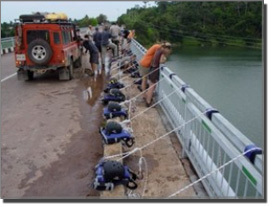 Our head rigger, Victor Gallo, was contracted to work on the 2006 Land Rover G4 Challenge held in Laos and Bolivia. 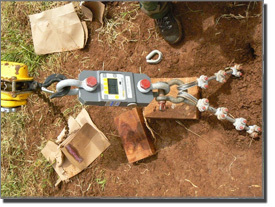 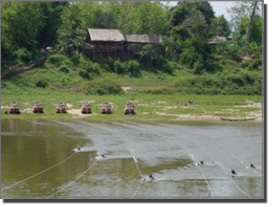 During one month different competition activities were rigged in the land-mine ridden Laos countryside in some of the most unknown corners of this country. 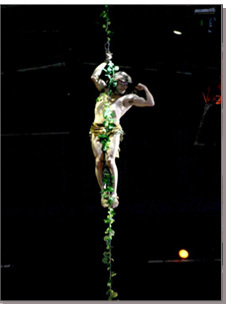 Victor was also hire as one of the marshalls for the entire competition. 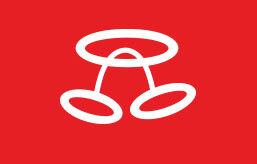 Marlboro International organizes team events for the worlwide market for applicants from diverse coutries. 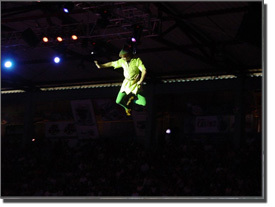 Victor Gallo has attended these 10 day events as one of the monitors for the different teams since 2002. 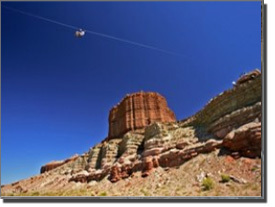 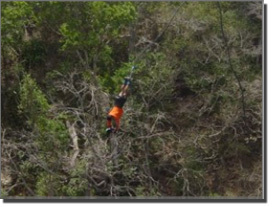 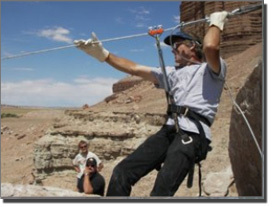 In 2005 a 400 meter zip line was rigged accros the green river in Utah as part of a cross-country route. 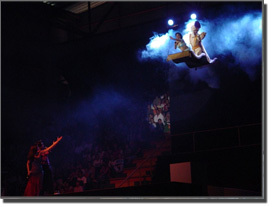 Month long shows were presented in Costa Rica in 2002, 2003, 2004, and 2005. 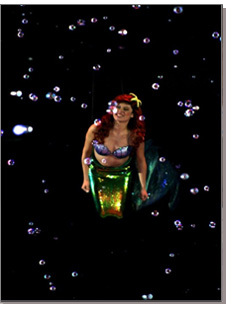 Our job was the rigging and special effects for all the flying characters for Disney. 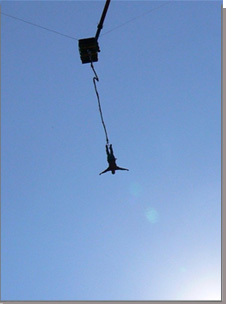 We used our simul-rig to make the vertical/horizontal flying effects and other lowering devices for vertical descents. 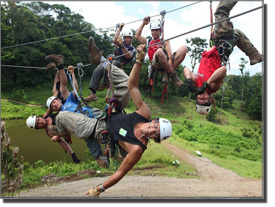 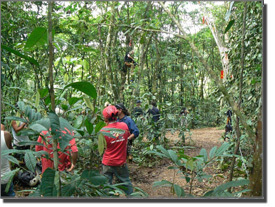 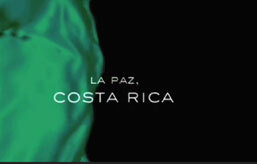 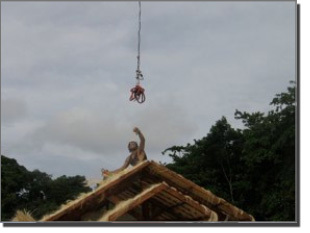 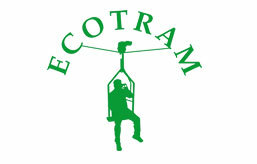 This reality show was filmed in Costa Rica during the month of June ’09. 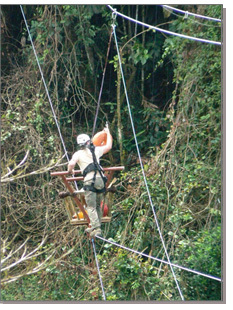 Two months prior and during filming, Adventure Playground provided all the rigging of infrastructure and activities for the show. 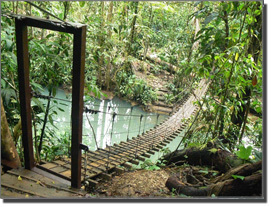 Three hanging bridges were built by AP for access to the main camp. 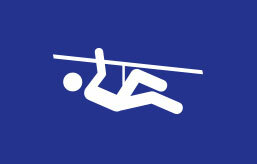 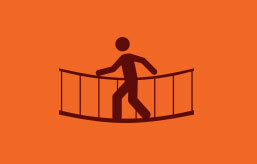 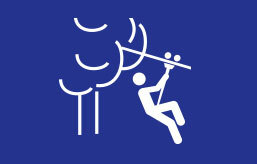 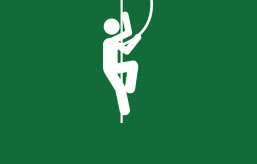 High angle activities such as cable traverses, counterweight games, climbing webs, and trolley crossings. 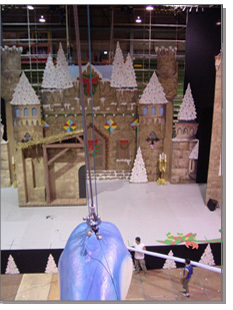 Camera positioning, movie set covers and all overhead materials were installed by AP.